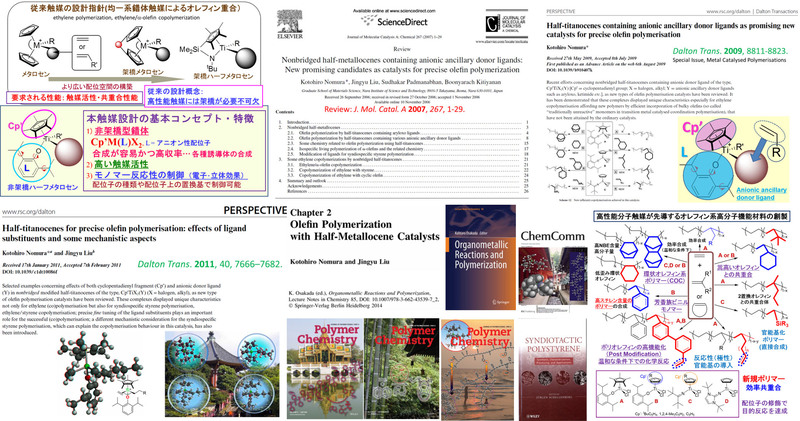 Subject fields in the Organic Laboratory, Department of Chemistry, Tokyo Metropolitan University (TMUORG) is Organometallic Chemistry, Molecular Catalysis, Polymers and Structural Organic Chemistry for Materials Science. 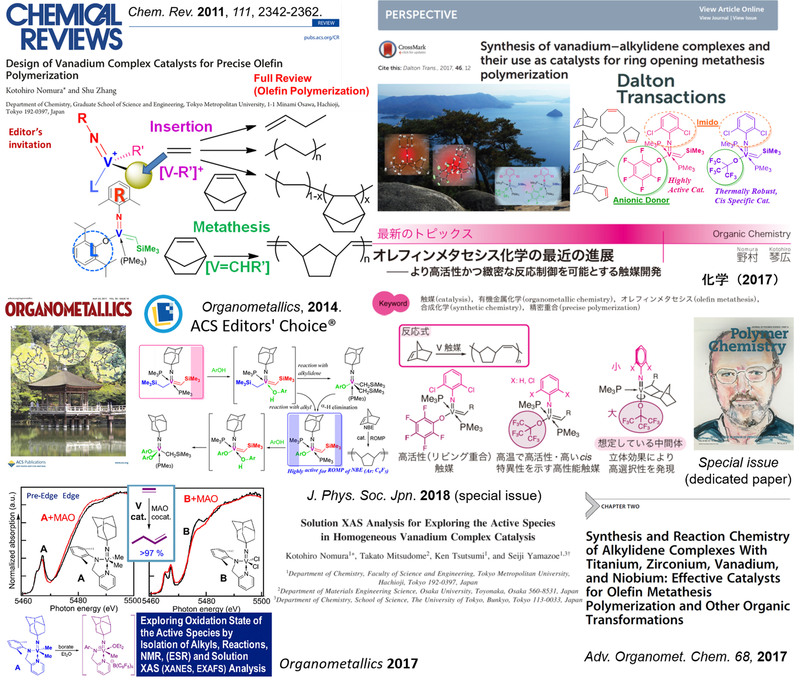 Ongoing subjects in our laboratory are (i) design of efficient molecular catalysis for precise synthesis of organic molecules as well as polymers for green and sustainable chemistry, (ii) design and synthesis of functional materials (organic molecules as well as polymers) by precise synthesis. 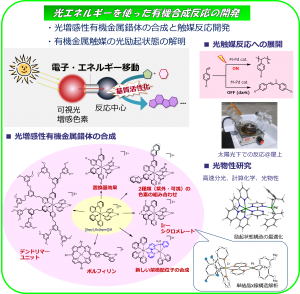 We also conduct subjects concerning (iii) synthesis and reaction chemistry of highly reactive organometallic complexes/intermediates for efficient carbon-carbon bond formation (insertion, metathesis, coupling etc. 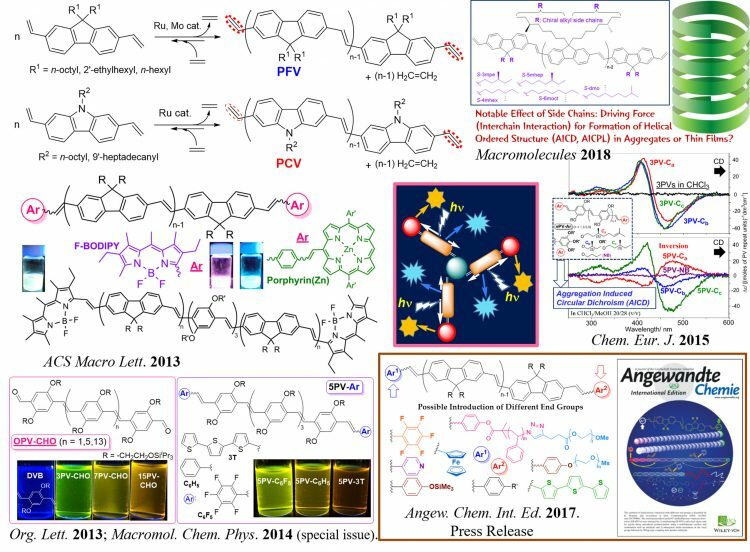 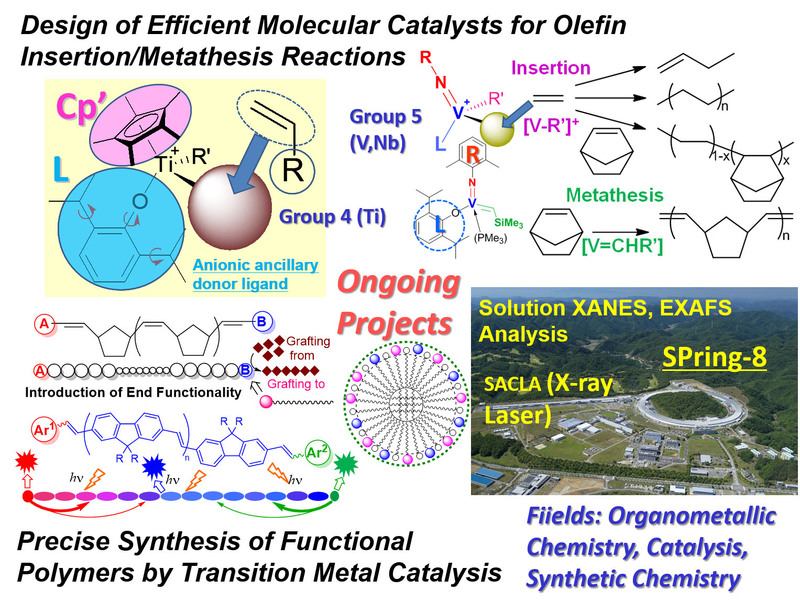 ), (iv) development of efficient organometallic photo catalysts, (v) design and synthesis of π conjugated oligomers/polymers for better electronic and/or optical properties (advanced materials).